For those that have one, there really is nothing quite like your own Hot Tub! You may have dismissed the idea of buying one in the past as an impossible dream but with our help you will discover that it is a lot easier and likely less expensive than you think. Read our detailed guide to find out how you could be enjoying a relaxing hot tub at home in next to no time! Spas are all basically large tubs full of warm water with jets of water incorporated into their design to both massage and relax your body. Normally they can easily accommodate between 2 and 8 people with ergonomically moulded seats making you comfortably supported so that you can relax. Hot Tubs can be used all year round as they can maintain a relatively constant and cosseting temperature regardless of the ambient weather conditions. Most rigid body Hot Tubs and Spas will be constructed from very strong materials that can both support the weight that they contain, which can be considerable, and resist adverse weather too. If you want to have a more permanent feature in you r home then you should choose a rigid hot tub. They can either be set into the ground or have decking built around them. Once installed in place you simply connect them to a standard electrical outlet. They are then quickly ready to use whenever you want to dive in! Rigid Hot Tubs have specially contoured seating set in them which will allow you to decide whether to lounge about with your feet raised or to sit upright. When you buy one you can also specify the extras that you require such as special aromatherapy systems to release scents and ambient underwater LED lighting to really set the mood! If you like to listen to your favourite tunes in the tub or keep up to date with your favourite soap then you can have music and TV too if you want it! If you have a very limited budget then perhaps you could consider Inflatable models. They are undoubtedly the most easily affordable way into Hot Tub ownership! They are quite easy to set up, normally they are fairly comfortable to use too! To get started just connect the hot tub up to the air blower, when it has fully inflated you can fill it up with water. Turn the temperature to your desired setting on the pump heater and when it is ready, jump in! The downside to inflatable models is that they will not last as long as rigid Hot Tubs, they can be punctured, they are a little more difficult to keep clean and perhaps, for some, the wow factor is absent too! Once you have decided whether you want a Rigid Spa or Inflatable model, what next? Before you decide what to buy, you should use the vast repository of information available online to inform your decision to purchase. Start off by reading the various hot tub reviews that you can find online via the search engines. Visit various websites, online forums and your favourite social media platforms to get a handle on what owning one entails and also, to get a feel for how it could benefit you, your family and your friends. Once you have worked out whether or not you want to dive in at the deep end then you will have a better idea of exactly what it is that you are looking for. When you have got a good idea of your requirement then we would recommend that you visit a Hot Tub showroom in your neighbourhood, such as HotSpring World, to see one in the flesh. The best hot tubs are of course a long term investment and can add value to your home as well as provide a focal point for family and friends for many years to come. Beware of tempting online Hot Tub deals because you cannot always be sure what you are actually going to be getting for your money. If you buy online then the hot tub you receive may be of a lower quality than you were expecting and you will be unhappy. The only way to be sure is to check out the models that you like the look of in a hot tub showroom where expert staff can explain all of the ins and outs of ownership to you. You will find that hot tubs are not all the same! As you perform your initial research make sure to look out for reputable hot tub manufacturers and retailers. Check there is a proven track record of delivering excellence to past customers. Check that there are detailed hot tub product information and technical details so that you can make valid comparisons too. Order Hot Tub brochures from those retailers and manufacturers on your short-list and then investigate where to buy and what kind of aftercare arrangements there are should problems arise in the future. Always make sure that there is a good hot tub warranty for added peace of mind. At the end of the day, the best hot tubs will be those that can provide you with years of affordable entertainment and pleasure, for family and friends alike. Check out the quality of construction of any hot tubs on your shortlist. Running costs will depend to an extent on how often you want to use it and therefore how much of the time it is left on with its heater and pumps running. The best made models will have efficient insulation and will therefore be more efficient at retaining heat and saving energy. Many will achieve this by having several layers of varying types of insulation, ensuring maximum heat retention. Less well made models will not have such good insulation and will therefore cost more to heat in the long run. Sturdy hot tub covers will retain heat better while you’re not using your hot tub, sturdy walls and solid bases will also help. Think carefully about where you want to place your Hot Tub within your property. Don’t forget to consider what direction you will be facing when you are in it too! Think about how you will fit your hot tub into the gardens overall design and consider secluded positions where you are not too overlooked. Your Hot Tub installer should be able to advise you regarding a quick and efficient installation and should be able to offer invaluable advice helping you make the most from your purchase. Who will be coming to your Hot Tub parties? You may have a large family and loads of friends which means that you need to think about the size of tub that you buy. First of all though, think about how much space you have in your garden as this could restrict the size of hot tub that you can actually accommodate. If you have problems with access to your garden then it may also be necessary to use a crane to help lift the hot tub over walls, fences or even your property! This can be arranged for you if necessary, it is not normally an issue though! Second you should think about how many people you do want to accommodate in the hot tub at the same time. 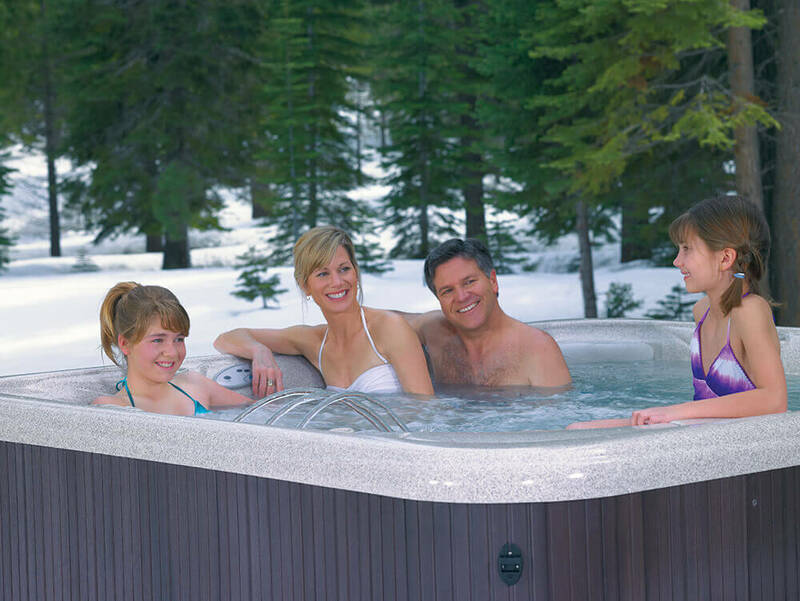 Should you be planning on regular hot tub parties, you might require more seats than a standard family-sized model. Sometimes a large hot tub may not include additional seats but rather it may have more space to relax in. Diving in at the deep end! At the end of the day, we all have different needs due to our personal circumstances so make sure that you have thought about all eventualities before you finally dive in at the deep end! To receive a copy of our exclusive hot tub buying guide, fill in the form here.